All ports has Acceptable Frame Types as "Admit All" if i change to "Tagged Only" then clients in VLAN are loosing internet connection. In attachment network diagram (switch B is not connected until it's not working as i wish). 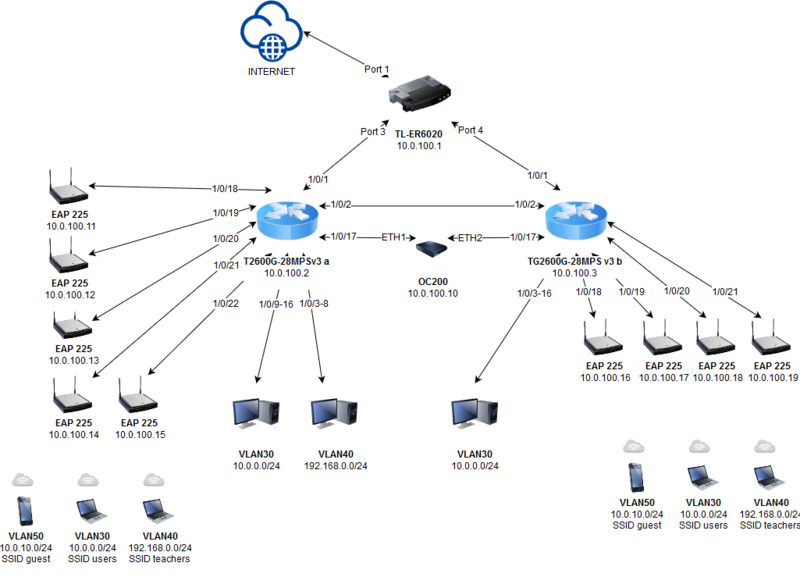 It's normally that the different VLANs can connect to each other, because the switch support inter-VLAN routing. When you set L3 interface for each VLAN, the switch will generate the routing automatically. The devices can access other VLAN through these routing. You can configure ACL to block the traffic between different VLAN. For example, block VLAN30 to VLAN40. You need to add following ACL rules. 0.0.0.0/0 means all IP address. About how to configure ACL, you can refer to the below link.